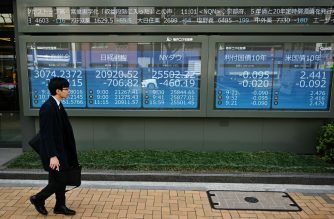 HONG KONG, China (AFP) — Asian markets were mixed Monday but investors remain broadly upbeat after a strong US jobs report that eased concerns about the world’s top economy, while the pound edged up at the start of another crucial week in the Brexit saga. The gains built on last week’s rally that was fuelled by optimistic tones from China and the United States on trade talks, with top White House economic adviser Larry Kudlow saying they had been “very productive” and “moving the ball in the right direction”. Confidence was given a boost by data from the Labor Department showing the US created 196,000 net new jobs last month, beating expectations, with moderate wage inflation easing pressure on the Federal Reserve to tighten monetary policy. 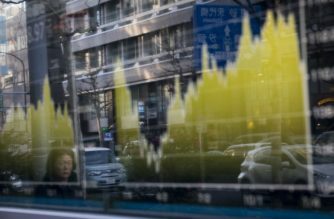 The upbeat figures — and hopes for the trade talks — have combined with a more dovish turn by central banks of late to support global markets, which have enjoyed a stellar start to the year after painful end to 2018. “Valuations are OK, global growth is expected to improve into the second half of the year, monetary and fiscal policy has become more supportive of markets and the trade war is receding,” Shane Oliver, investment strategist at AMP Capital Investors, told Bloomberg News. This “should support decent gains for share markets through 2019 as a whole”. 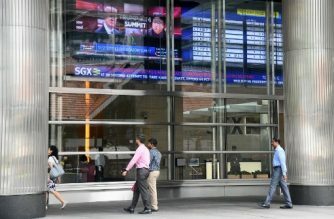 In early trade Hong Kong was up 0.3 percent and Shanghai rose 0.5 percent as dealers returned from a long weekend break, while Sydney also added 0.5 percent. Taipei and Manila were also up. Seoul was marginally higher, though Tokyo ended the morning slightly lower, with Singapore, Jakarta and Wellington slightly off. The release of minutes from the Fed’s March policy meeting will be pored over when they are released later this week, with traders hoping for fresh clues about its thinking. On currency markets the pound was slightly higher against the dollar as British Prime Minister Theresa May looks to reach a deal with the opposition Labour Party to avert a hard Brexit, with a second deadline approaching on Friday. 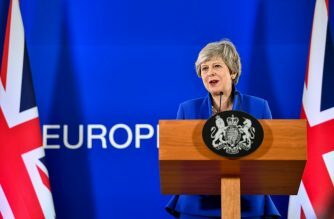 May last week asked European Union leaders for another delay until June 30, while the bloc itself suggested that it might be best to postpone the split for up to a year. Brussels is due to make a decision within days. Oil prices extended last week’s gains as an escalation of unrest in crude-rich Libya raised the prospect of a further tightening of supplies. “The uptrend for crude oil had been underpinned to a large extent by supply factors of late and the weekend update of Libya unrest further adds to this phenomenon,” said IG market strategist Jingyi Pan.